Scheduled destinations include New York City, Sands Casino, Philadelphia Phillies, Medieval Times, Skyline Drive, Virginia, Gettysburg Battlefield, Cape May, New Jersey, Fell's Point, Maryland, Monticello, Walton's Mountain, Virginia - more are being being scheduled. HodgePodgeUSATravel, a Veteran owned business, was founded in 1974 in Lebanon, PA to print and distribute advertising materials. The company is also in the travel business using the same high standards that have always been offered - providing relaxing and stress-free day and extended trips to almost anywhere for Fund Raisers, Casinos, Dinner Theaters, Sporting Events, Music Shows, Concerts, Seasonal Festivals, Museum Trips, and wherever your destination. Contact 717-383-7112 or email info@hodgepodgeusatravel.com for ordering information. Review our partial inventory. Browse all the items and categories listed. 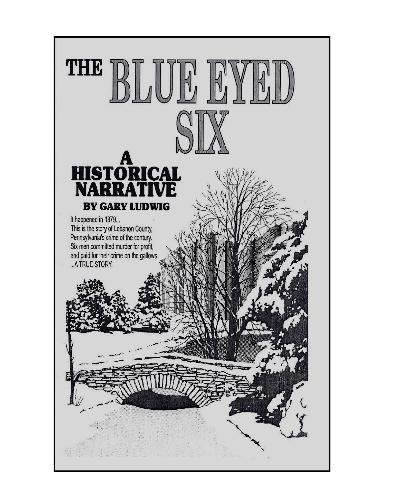 Our featured writer is Gary Ludwig Order copies of his work here. road where a young girl raised in a strict religious family discovers murder and forbidden romance. called him the greatest dirt-track racecar driver of all time. war between Heaven and Hell.